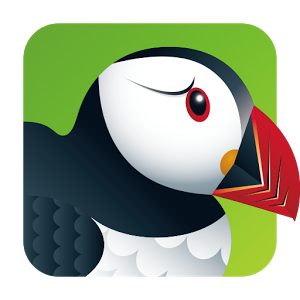 The Puffin Browser can be installed on iPads in the district so teachers and students can access Compass Learning. Using Safari (built-in browser for iPads) will not work because of the way Compass Learning is configured to run with Flash technology. The workaround is the Puffin Browser. Pictured here. Clicking on this icon should take you to the Compass Learning website (https://www.thelearningodyssey.com/) but if not, here are the steps you will need to get to that website. This tutorial assumes someone has been out to your building to install the Puffin Browser and bookmark this website already. Step 2: Login to Compass Learning using the following information from this post. That’s it! Step 3: If Compass Learning doesn’t show up as last page, you’ll need to go to your Bookmarks to access it. There should be a “Compass Learning Customer Login” or something similar to it there, which takes you directly to the Compass Learning Website. You can access this folder by looking for the star folder icon. If you don’t see it, look for the menu icon first (see step 4) and then click the favorites folder icon. Step 4: If you don’t see this bookmarked website, you will have to manually add it again AFTER you manually visit Compass Learning by clicking the Star Icon. See steps below for this. From there you’ll just want to add Compass Learning to your iPad’s Puffin bookmarks so in the future you can just follow steps 1 & 2.